Syed Abid Ali is one of the famous cricket player for Indian team. Syed Abid Ali is born on September 9, 1941 at Hyderabad. Syed Abid Ali has a right hand batsmen and Right hand medium fast bowler. He played 29 test matches and 5 One day matches for Indian team. 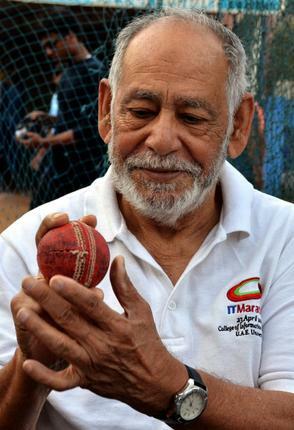 He played first test match for Indian team on 23, December 1967 with Australia and last test match played with west Indies on 15,December 1974. First ODI match played on 13, July 1974 with England and last ODI played on 14 June 1975 with New Zealand. 81 runs is the highest score in test matches of his career and 70 runs is the highest score in ODI matches. He took 5 wickets once in test career and best bowling 55/6.